Some things in life are worth waiting for, and to me, the 2016 Toyota Tacoma is one of them. 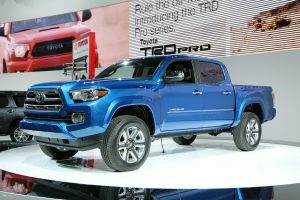 With the chance to see it unveiled live at the Detroit Auto Show, I was defiantly impressed. 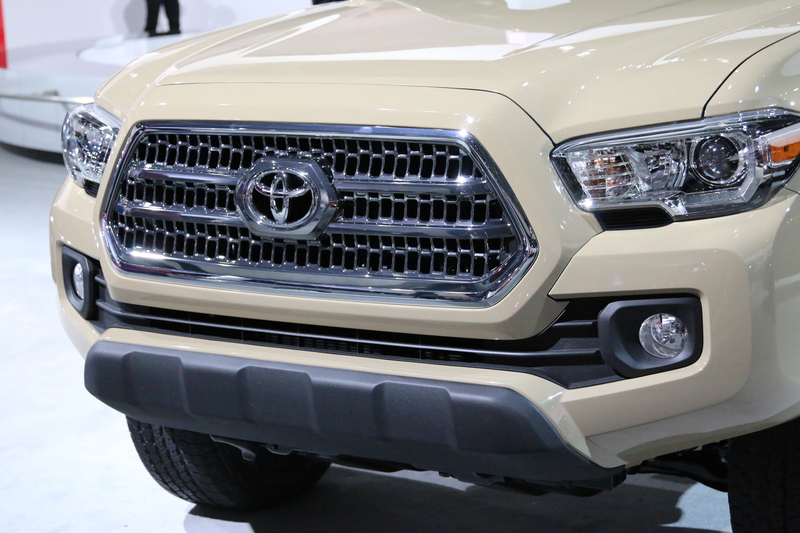 Like a warm soft-taco shell, the Tacoma’s sleek new sheet metal lends the truck a stylish profile that’s loaded with accouterments. 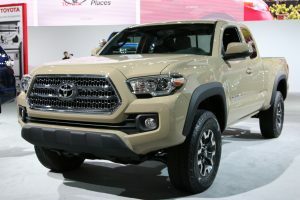 Take one quick look and you’ll agree that this Taco(ma) certainly does look delicious (five bucks says you’re going to eat tacos next chance you get!). 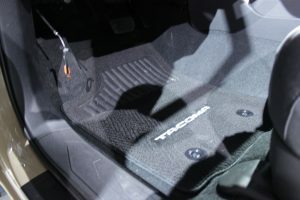 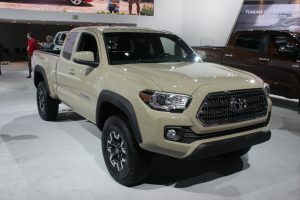 Taco puns aside, it’s been almost 11 years since the Tacoma got a redesign, and the timing of it couldn’t have been better. 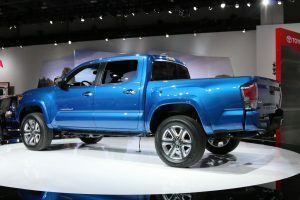 The worlds best selling mid-size pickup truck for the past 10 years is about to face some stiff competition from the recently introduced Chevy Colorado and GMC Canyon. 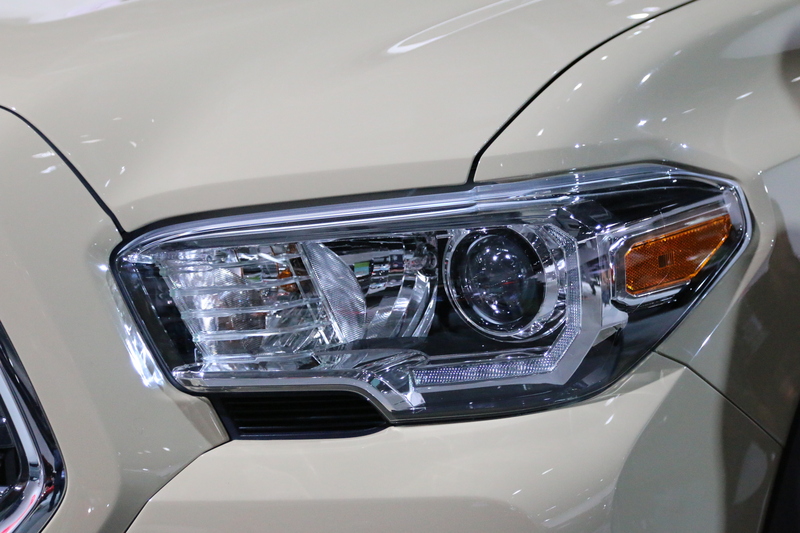 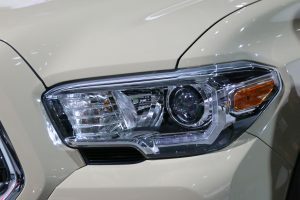 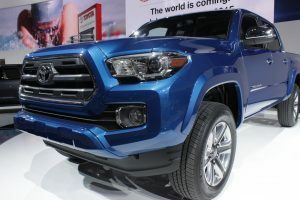 Anticipating an all-out battle royal for their long reigning title of “worlds best”, Toyota stepped up their game to make sure the 2016 Tacoma was ready to take on all challengers. 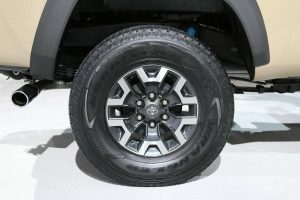 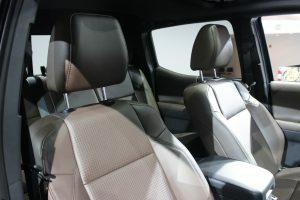 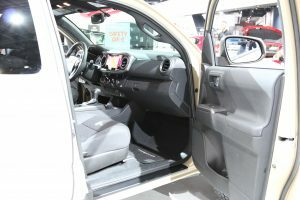 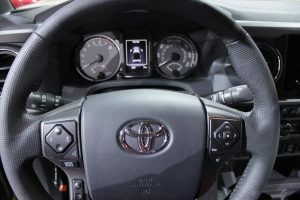 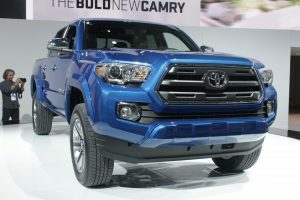 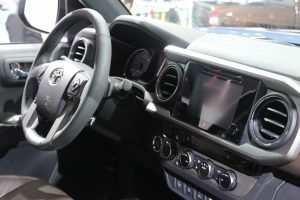 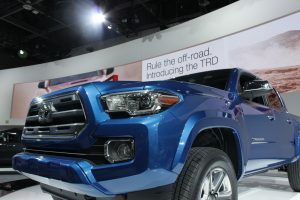 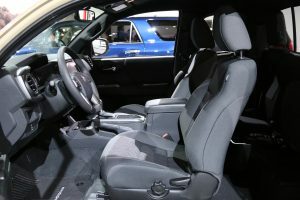 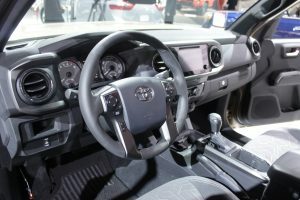 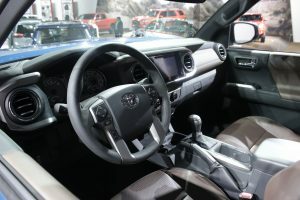 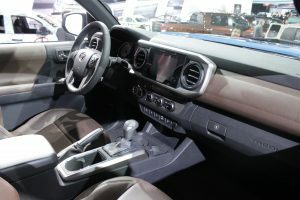 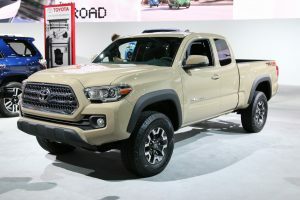 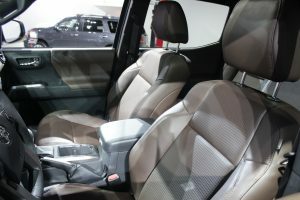 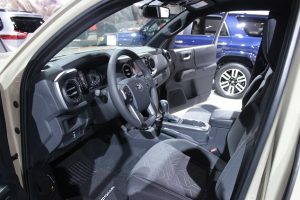 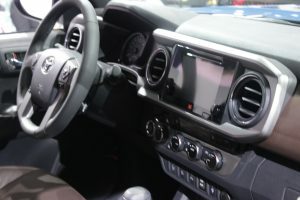 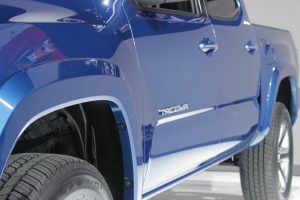 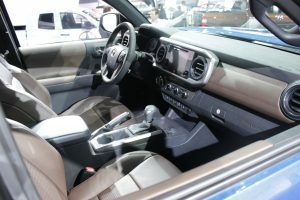 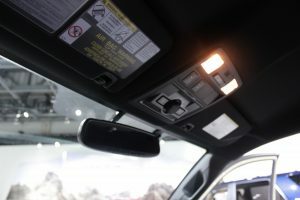 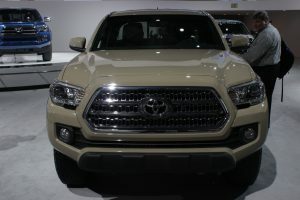 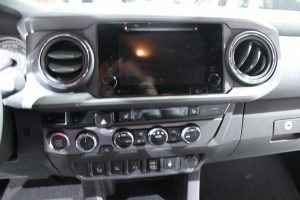 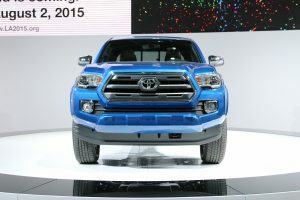 At the North American International Auto Show, I had the chance to spend some time with Toyota Product Specialist, John Stemberg, and learn more about the all-new Tacoma from a real life expert. 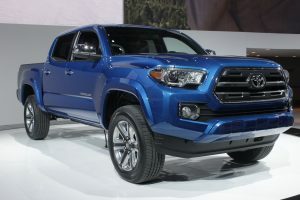 As you can see from the video, the Tacoma is stacked and ready to dominate the dirt, or rocks, or pavement. 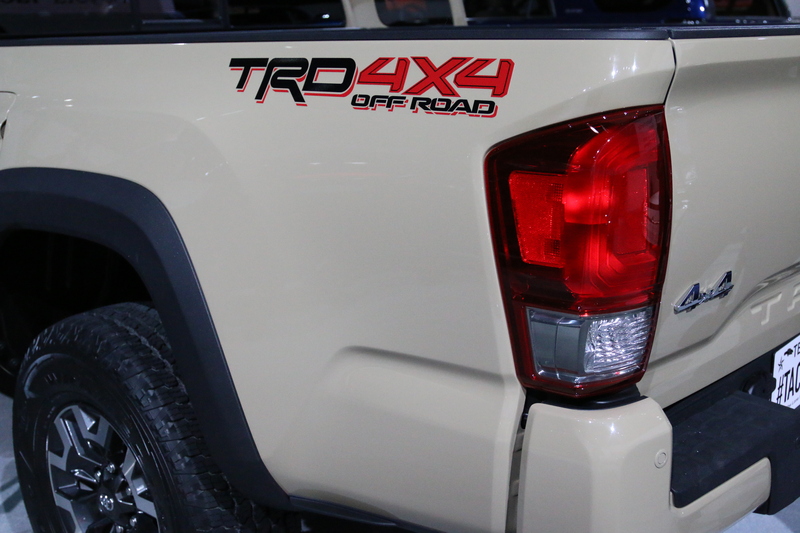 over 40% of Tacomas sold are TRD models, proving that Tacoma owners LOVE to get their trucks dirty! You’ll be able to get a new 2016 Tacoma with either an efficient yet powerful 4-cylinder, or an all-new Atkinson cycle V6 engine. 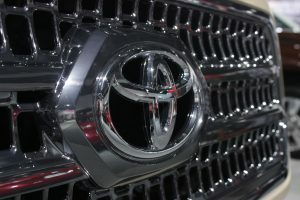 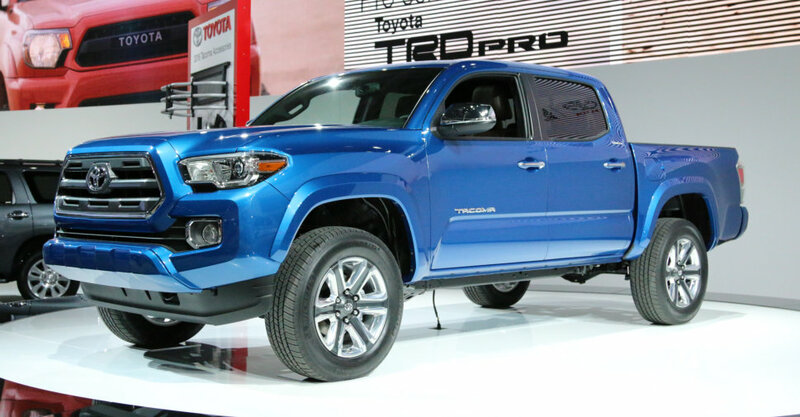 The 3.5-liter V6 engine is equipped with Toyota’s D-4S technology – featuring both direct and port fuel injection. 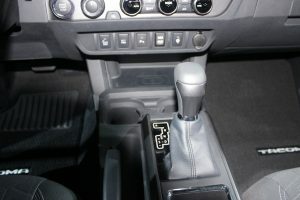 The V6 can also be paired with a new for 2016 6-speed manual or 6-speed automatic transmission. Combine the new Atkinson cycle V6 engine, throw in advanced direct and port fuel injection and then pair it with a new 6-speed transmission and what do you end up with? You end up with the most powerful AND fuel efficient Tacoma ever! 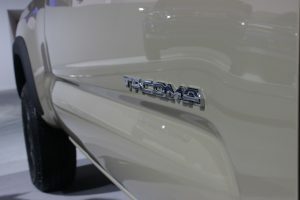 50 years ago, Toyota introduced their first pickup truck for the US. 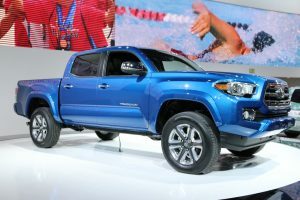 Since then, Toyota has gone on to sell over 7 million trucks, helping millions of customers get work done and find new adventures. 20 years ago, the Toyota Tacoma was born. 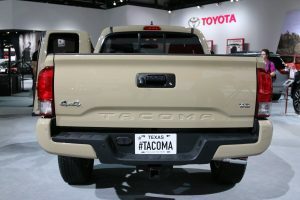 Since it’s inception it was designed and built here in the US and is currently produced at the TMMTX assembly plant in San Antonia, Texas. 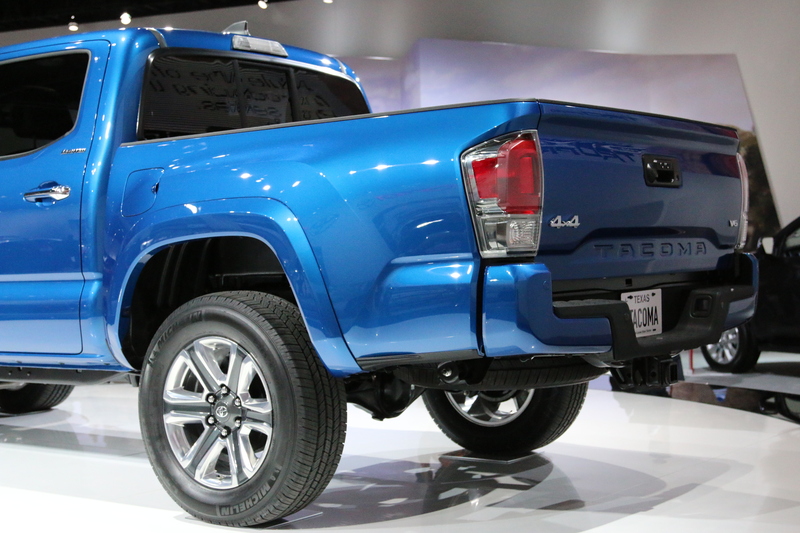 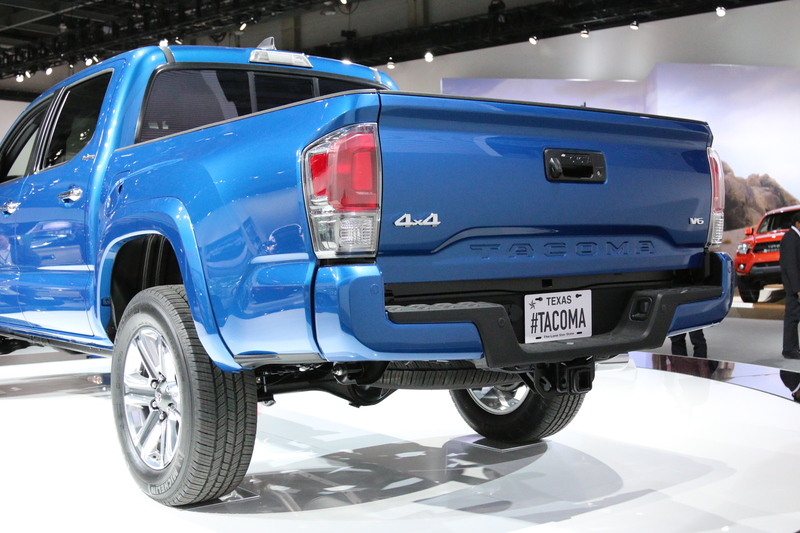 Since its inception more than 3 million Tacoma’s have been sold and amazingly 75% of them still on the road today. 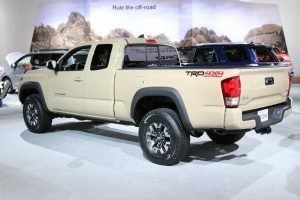 Talk about longevity in a truck! 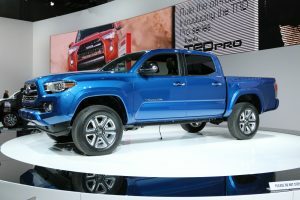 With its legendary quality, durability, reliability and go anywhere capability – the Tundra has dominated the mid-size pickup truck segment by growing its market share to over 60%. 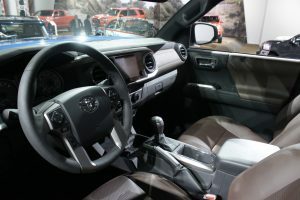 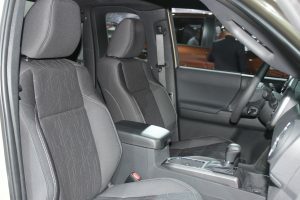 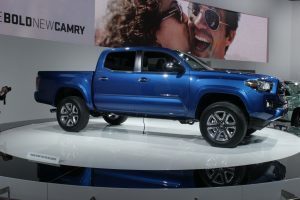 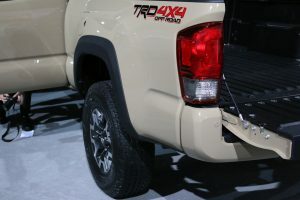 When the FamilyDealBlog.com was attending the North American International Auto Show during the Press Preview, our team of highly skilled photographers snapped these fine pics of the Tacoma in all its rugged glory. 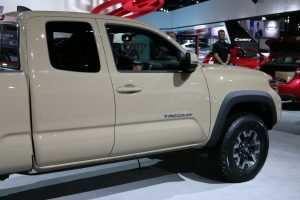 When the 2016 Toyota Tacoma launches in the fall of 2015, you can bet the team at LaFontaine Toyota will be ready to help you pick out the perfect Tacoma that fits your needs and lifestyle. If you have any questions about the all-new Tacoma, feel free to drop us an email at feedback@lafontaine.com or give us a call at (877) 887-9617. 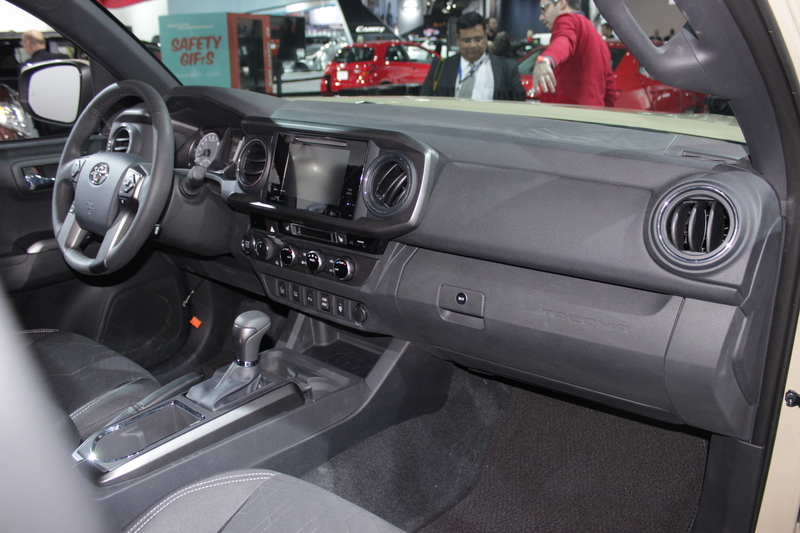 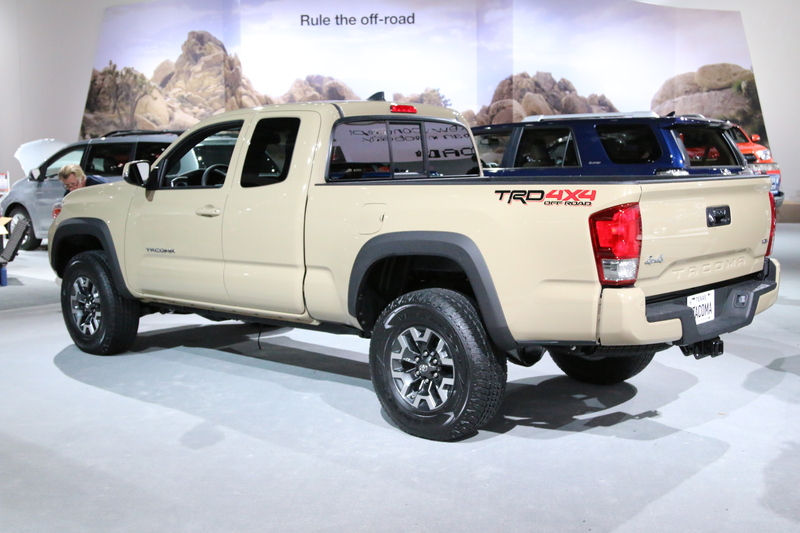 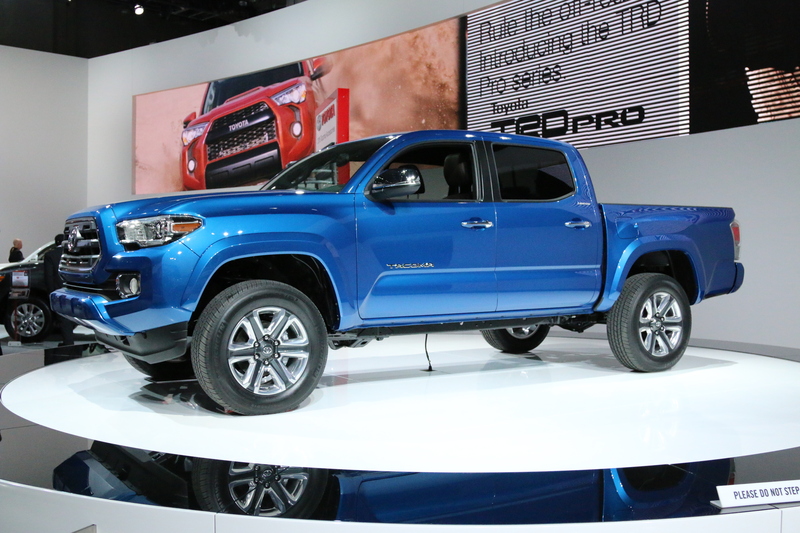 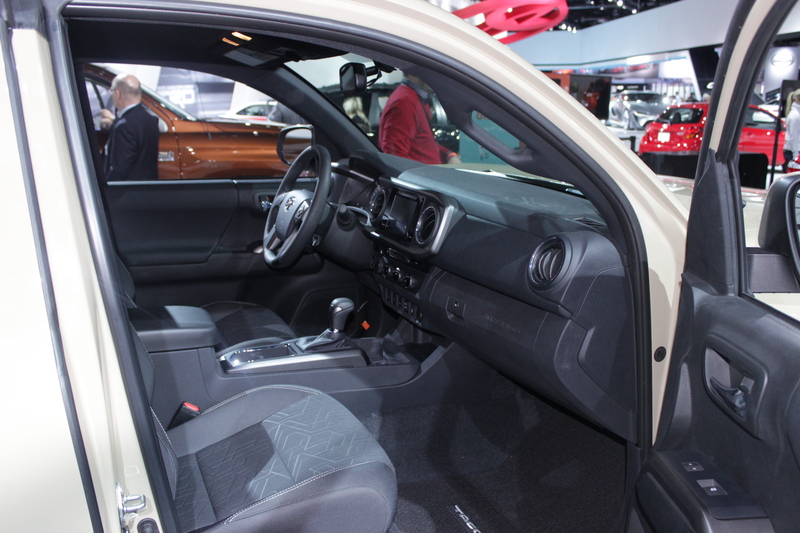 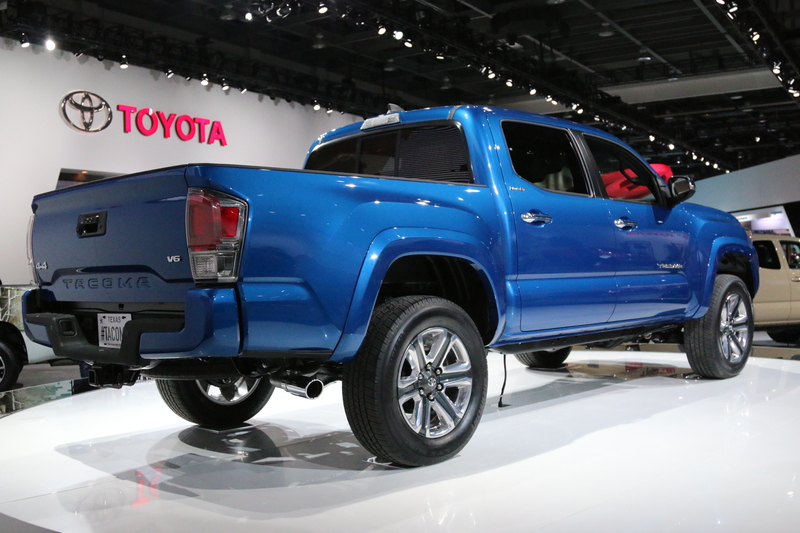 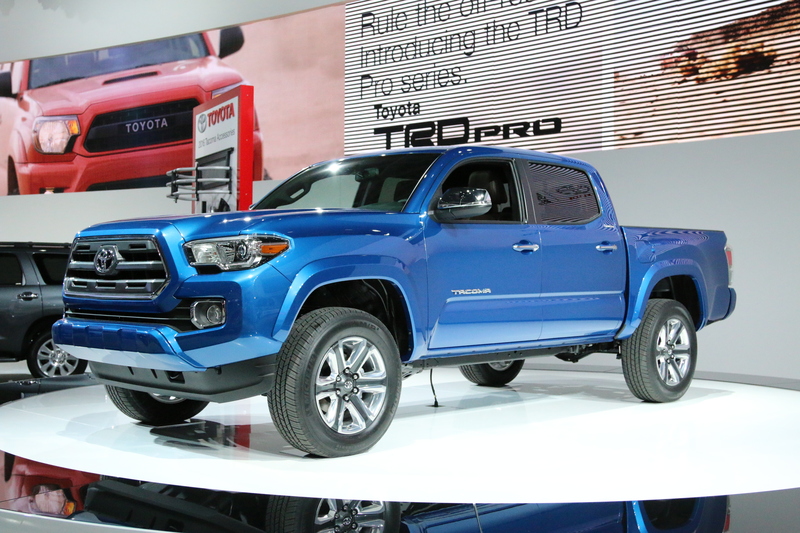 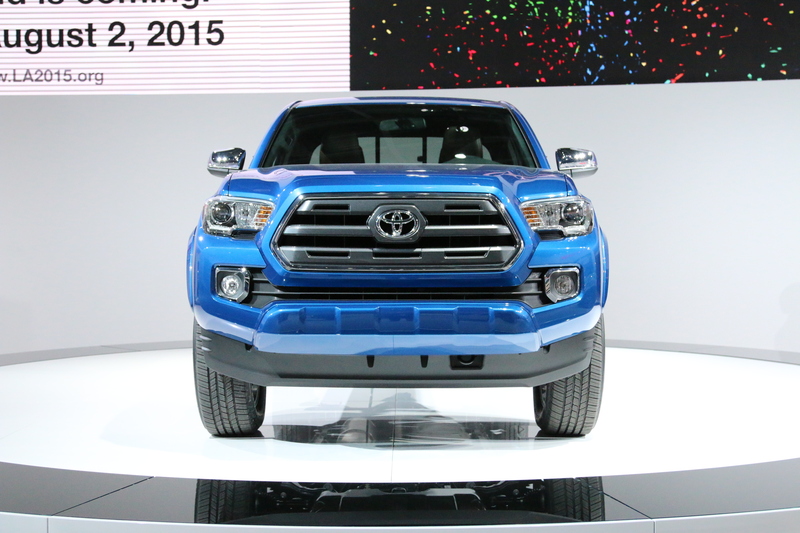 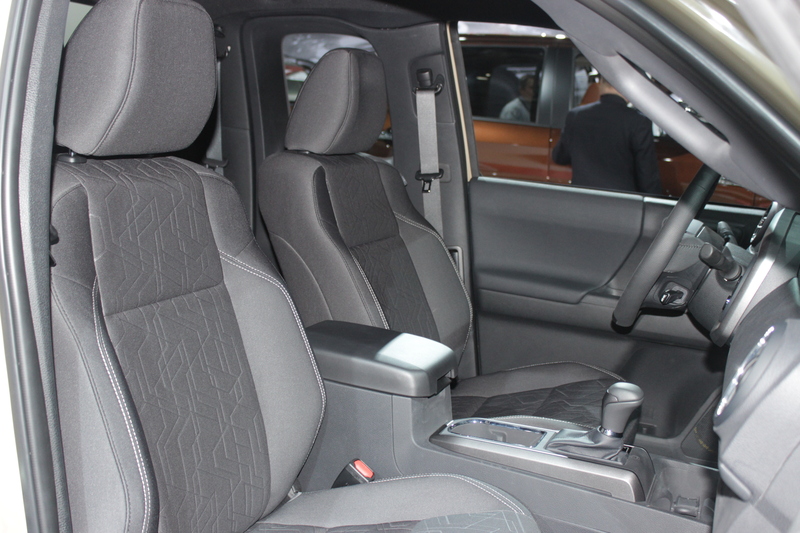 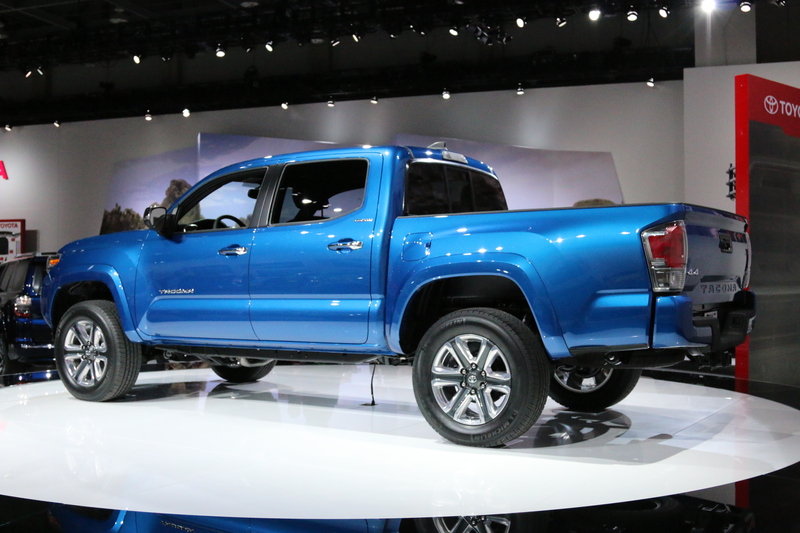 What do you think of the 2016 Toyota Tacoma? 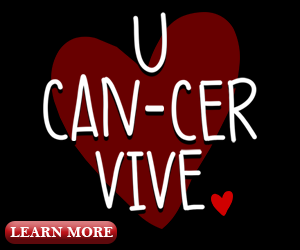 Share your thoughts in the comments section below.